The Durango Police Department investigated a bomb threat Tuesday at the Holiday Inn & Suites, in west Durango. U.S. Highway 160 was closed in both directions for about two hours while police went room-to-room to clear the motel. Durango Police Department officers search cars Tuesday at the Holiday Inn & Suites parking lot after a report of a bomb threat. 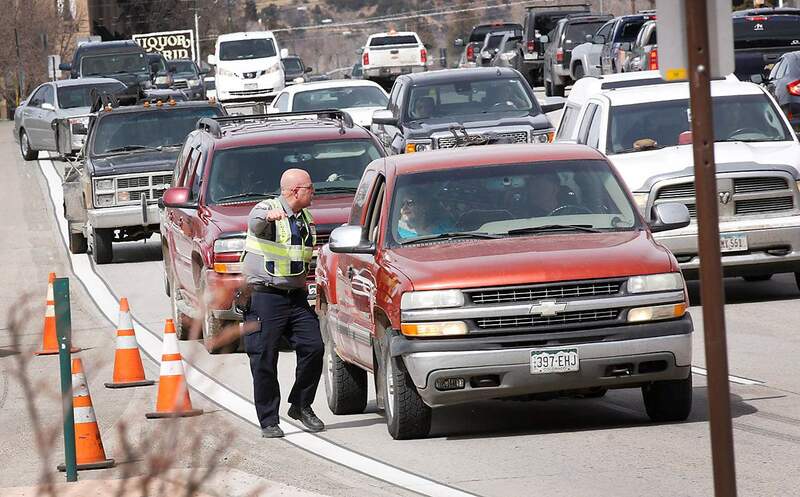 Durango Code Enforcement Officer Steve Barkley diverts drivers Tuesday at the DoubleTree intersection of U.S Highway 550/160 after Highway 160 west was closed because a bomb threat at the Durango Holiday Inn & Suites. 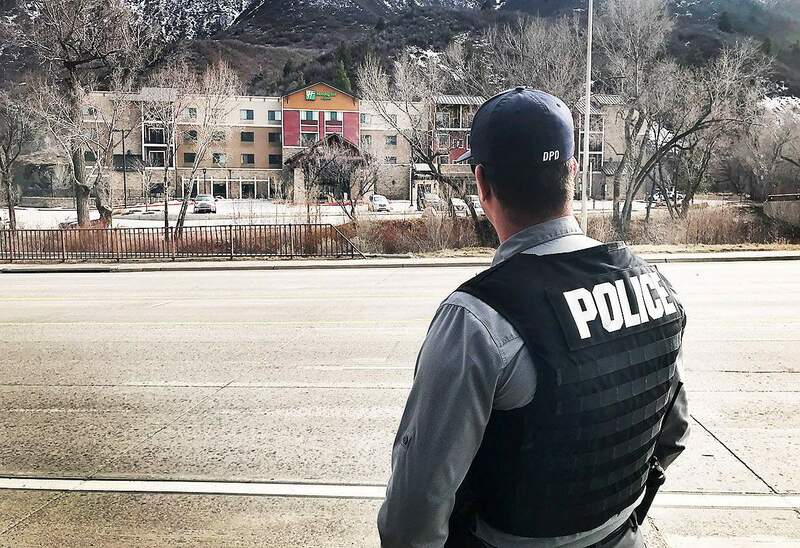 A bomb threat called into a hotel closed U.S. Highway 160 for more than two hours Tuesday in west Durango. The highway reopened at 5:13 p.m.
A man called the Holiday Inn & Suites with the bomb threat shortly before 3 p.m., said Cmdr. Ray Shupe with the Durango Police Department. Police are investigating who made the threat and where it came from, he said. Officers evacuated the hotel and went room-to-room to clear the building. As of 5:30 p.m., police had not found anything suspicious. Employees and customers were expected to return to the hotel Tuesday night, Shupe said. The highway was closed between Camino del Rio and Wildcat Canyon. Traffic was rerouted onto County Road 210, which goes past Lake Nighthorse. Durango School District 9-R bus routes DW1, DW2, FL1, FL2, FL3 and RJ were delayed as a result of the police investigation, according to an announcement by the district. Most routes were able to be completed, but students with bus stops in the closed section of Highway 160 had to be returned to their schools to be picked up by their parents, said district spokeswoman Julie Popp. 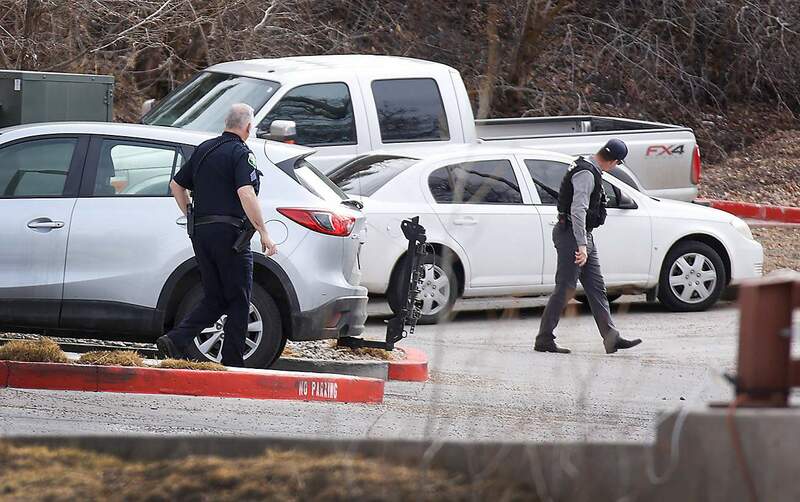 Agencies that assisted with the bomb threat included Durango Fire Protection District, La Plata County Sheriff’s Office and Colorado State Patrol. The Farmington Police Department Bomb Squad was placed on standby.